I sort of love packing. I know that makes me a weirdo, but I can't help it. I start packing WEEKS before a trip, much to the amusement of my friends who throw some things in a bag three hours before the plane leaves for Peru. I have actual nightmares about that type of scenario, where I've waited to pack at the last minute - what if I forget something important?!?! So, I plan ahead. 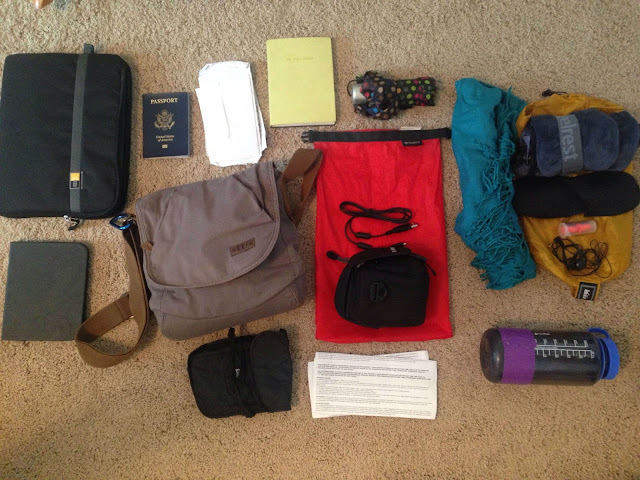 I make spreadsheets, I lay everything out on the floor, I pack and I repack until everything in my bag is just so. Do I still wind up wishing I had some things, and realizing I should have left others behind? Of course. 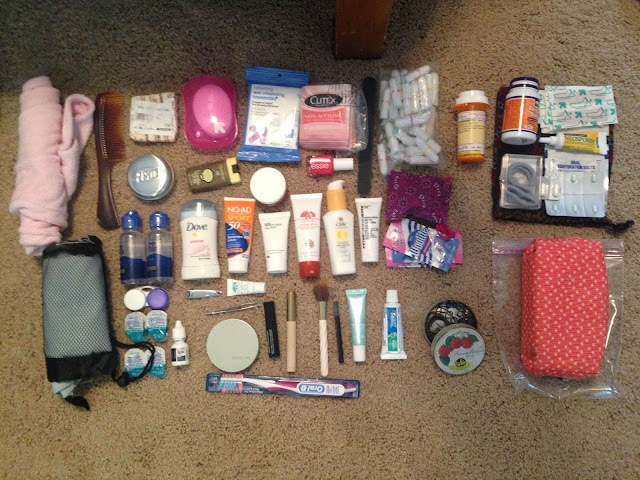 Everyone's packing list is going to look different depending on who you are, where you're going and what you're doing, but I know it was helpful for me to look at other lists as a starting point - so here's what I took for 3 months in Georgia, Armenia, Iran and Turkey. 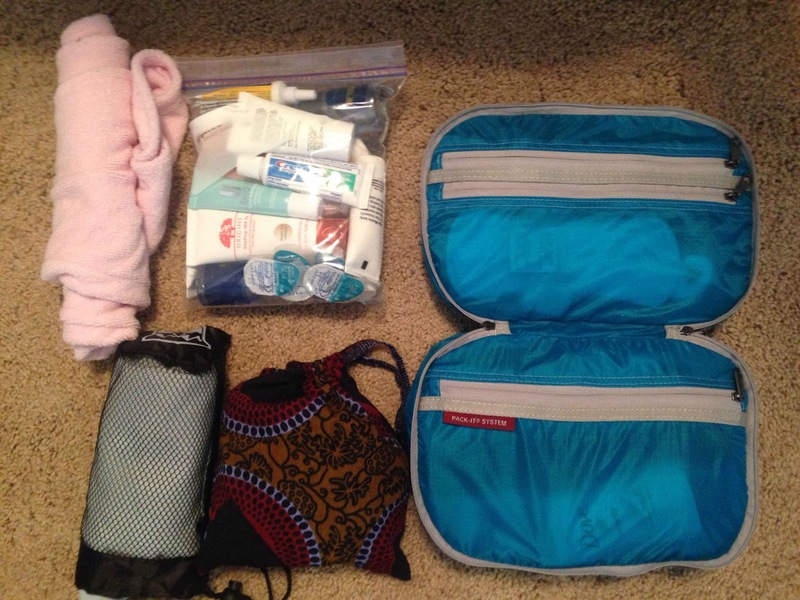 This is kind of a controversial topic among travelers, but I am a firm carry-on-only kind of girl, whether I'm traveling for a weekend or a year. My main reason: mobility. I want to be able to carry everything I have, all at once. I'm a small person, so carrying an 85L backpack + a front pack + a purse just isn't reasonable (or good for my back). A smaller backpack means I'm able to walk 15 minutes from the metro to my hotel (saving money on a taxi), or wander in a new town finding a guesthouse that I love instead of settling for the one closest to the bus station just so I can set my bag down sooner. It's also nice to not ever have to worry about lost luggage. My current pack is a 9-year-old Eagle Creek bag (similar to the one in the link). I love it because it opens fully (not top-loading), it has a good waist belt, and it meets airlines' carry-on requirements. As my "personal item", I brought a tote bag that fits my smaller purse, laptop, travel pillow, snacks, etc. Packing for this trip was particularly challenging because I was facing a change of seasons (Georgia in summer, Turkey in fall), different cultural expectations (dressing for Tbilisi vs Iran), and varied activities (hiking, wine tasting, sailing and urban adventures). Packing light means doing laundry pretty often - I bought a small bag of Tide at the grocery store in Tbilisi and washed things like shirts and underwear in the hostel sink every few days (if you take a sink stopper, which I forgot, it's pretty easy). Most hostels/guesthouses offered laundry for a fee, which I would do every 2-3 weeks when bigger things like jeans and hiking gear needed a good wash. I like to use packing cubes because they keep everything tidy and I know where to look for things. The downside to carry-on only is that you have to fit all your liquids into 3oz bottles and one of those tiny plastic baggies. Luckily, I was traveling in places where it was fairly easy to replace anything I needed, at least in the major cities. Unless I'm going to be in the middle of nowhere, I don't try to pack everything I'll need for the whole trip - often it's really cheap to replace items overseas (though finding smaller sizes can be tough). Hair Care: Comb, solid shampoo and conditioner - to save liquid space, I brought Lush solid shampoo and conditioner. I love the shampoo, but was not a big fan of the conditioner. Make up: just some basics - powder, mascara, concealer, black eyeliner. It made me feel a little fancier when I was going out with people dressed in real (non-traveling) clothes. Jewelry: a few pairs of earrings and one necklace. I sort of wish I'd brought more of a statement piece for special occasions. Nail Care: nail clippers, nail file, nail polish and nail polish remover pads - this was a bit of a space splurge, but I love having pretty toenails! For the ladies - it can be pretty tough to find your favorite feminine care products while traveling, so bring along plenty if you're particular - or consider a menstrual cup! Are you carry on or checked bag? How would you pack for a three-month trip? Great list! I did a year long trip and of course packed way too much and shed things along the way. The word of advice I'd give for a super long trip is this: don't take any of your favorite items. Take items you won't mind getting rid of (or losing or having them stolen or having them stained)- for example, say you start off with 3 tanks or t-shirts; after two months you're sick of them so you buy a new one and toss the oldest one, repeat a month later. You'll feel a lot less sorry about tossing out an old shirt you bought at a charity shop for $4 than you will tossing out the $65 "travel" shirt purchased from REI!